As much as I enjoy mixing cookie doughs and cake batters, there’s something so satisfying about how simple it is to make fruit crumbles, crisps, and the like. They go from the first bit of prep work to the oven quickly with just a handful of ingredients. I had some lovely strawberries in my refrigerator just begging to be made into something tasty. 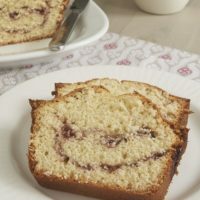 With those as my inspiration, I decided to keep it simple with a hint of vanilla in the berry mixture and a crunchy topping made with oats and pecans. I’m pretty much always looking for ways to make mini desserts, so I opted to make individual crumbles. I really like the pre-portioned small desserts for serving a group. You won’t need to wrangle dessert plates for serving individual portions. 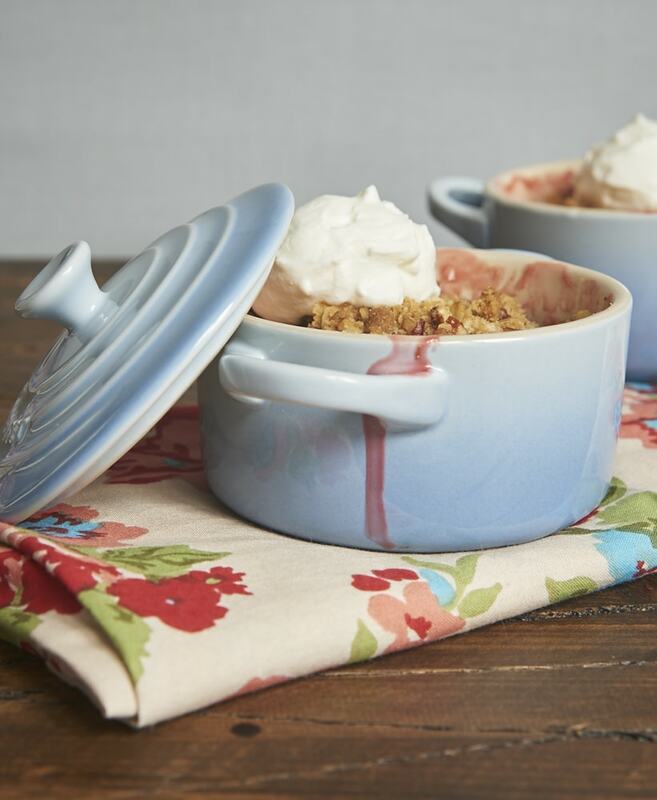 Just top each with sweetened whipped cream or ice cream, hand out the spoons, and watch everyone devour their very own crumble! 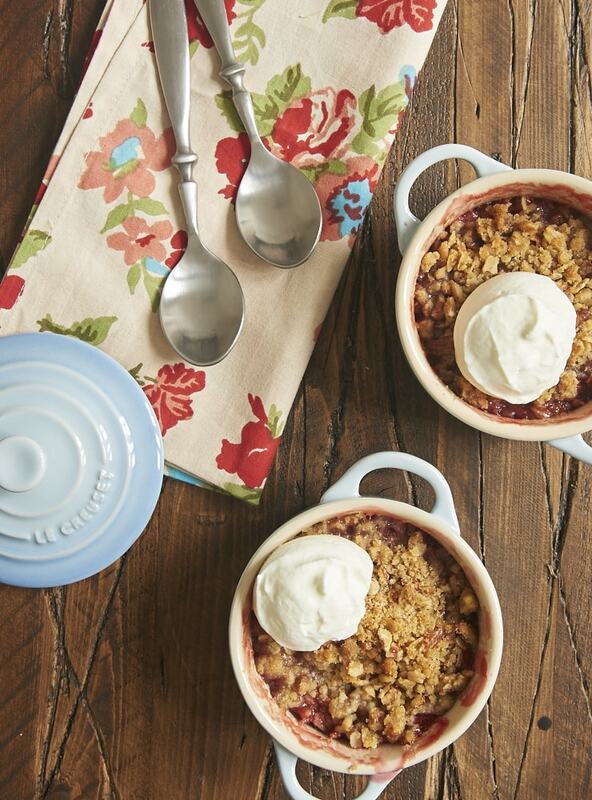 This is the kind of recipe you can use as a starting point for a make-your-own-crumble. Just change the fruit to your favorite or a combination of favorites. Try lemon juice or almond extract in the filling. If you prefer a different nut (like almonds or hazelnuts) in the topping, then go for it. It’s fun to customize as different fruits come into season. 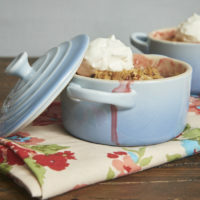 Fresh strawberries and a nutty crumb topping make this Strawberry Pecan Crumble a fruity favorite! Line a rimmed baking sheet with parchment paper to catch any spills. Place 4 8-ounce ramekins or 8 4-ounce ramekins on the baking sheet. Alternately, you may use a 1-quart baking dish. Place the strawberries, sugar, cornstarch, and vanilla in a medium bowl. Stir until combined. Set aside while you make the topping. Combine the flour, brown sugar, oats, and nuts. 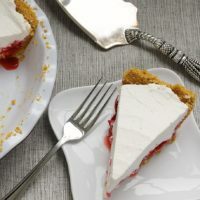 Add the butter, and mix with a pastry blender, a fork, or your hands until the mixture is well-combined and forms crumbs. Divide the strawberry mixture among the ramekins or transfer to the larger baking dish. Sprinkle the topping over the strawberry mixture. Bake 25 to 30 minutes, or until the filling is bubbly and the topping is golden brown. Serve warm or at room temperature. 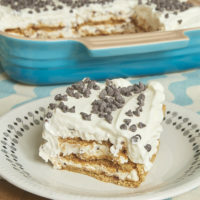 If desired, top with sweetened whipped cream or ice cream when serving. Mmm it is definitely crumble time! 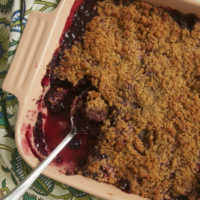 Crumbles are such a great summer dessert! 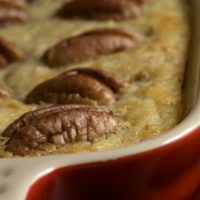 I like how your crumble topping has pecans!